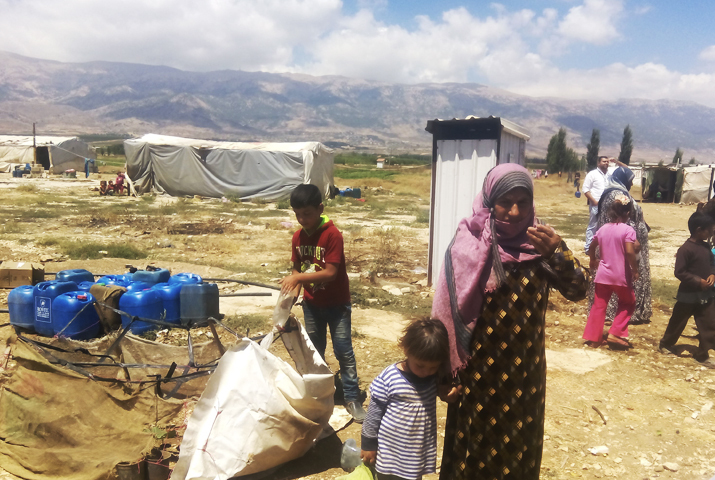 Oxfam GB and Triangle have completed a study on the socioeconomic feasibility of provision of municipal water to refugees in informal tented settlements as well as the host community residents of the Northern Bekaa region. BEIRUT (Triangle News) —Triangle has completed a feasibility study into the provision of municipal water resources to residents and refugees in informal settlements across nine villages of the Northern Bekaa. The study is an in-depth look into the dynamics and attitudes surrounding water provision in an area, which is beset with a multitude of issues including upstream cultivation of relative water-heavy cannabis crops, dilapidated infrastructure, increasing demand from refugee populations and costly provision of water from unofficial water from water tankers. The study is the first to measure demand, supply, costs and willingness to pay using a representative quantitative survey as well as nuanced qualitative data collection methods. Oxfam GB commissioned Triangle to conduct the study in order to consider the financial, social and legal feasibility of how consensus around water provision to informal tented refugee settlements could be developed. For more information on the project email Triangle: info@triangleconsultants.net.